Tucked into a quaint, suburban town, Sawbridge Studios sits on the corner of Green Bay and Tower Road in Winnetka, Illinois. One would never suspect it to be a Mecca of hand-made wood furniture and accessories driving past it at night. Sawbridge Studios was born 18 years ago, when Paul Zurowski, one of three owners of the shop, met Chris Robb, a designer and one of the founders of the American Craft Exposition (ACE), when she came in with a client who was interested in buying fully customizable, hand-made furniture. Paul, along with two friends, saw a golden opportunity to help designers and artists make a livable wage while doing something they love. And at the same time, helping customers buy quality furniture that lasts and transcends generations because of the simplicity of design and craftsmanship. “No doubt that everything in our store will be in style for generations,” he said fondly. “Buy quality – and you buy it once.” This mantra wasn’t learned by him, but rather, inherited. He remembers his mother, a nurse, and his father, owner of a gas station, investing in quality furniture by saving a little more each year. Their furniture is still in use by his parents today. And so Sawbridge Studios grew and Paul noticed himself wanting to support more community-based efforts that were in alignment with the shop’s mission and vision. 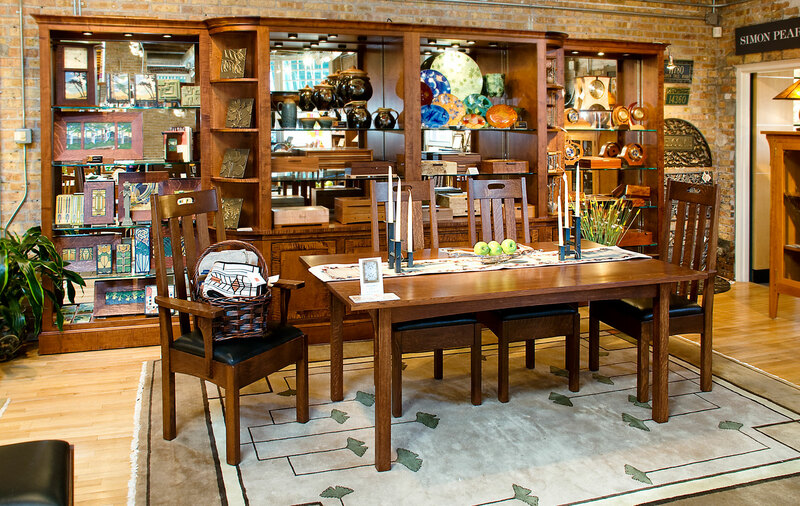 He came to learn about the American Craft Exposition when Chris Robb commented that “it’s just like Sawbridge Studios but with jewelry and more crafts.” Paul was eager to hold ACE events in the Sawbridge showroom and solidify a budding partnership. The budding relationship between Sawbridge Studios and ACE allows artists and craftsmen to meet and exchange ideas whether at ACE in late August, or through the grapevine in Paul’s store. Already, Sawbridge Studios represents up to 40 furniture artists, some discovered at ACE, and three times that for accessories. And Sawbridge has done just that for nearly 19 years by making it possible for artists and craftsmen to make a livable wage doing something they are absolutely passionate about while having true pride for their store, their customers and their artists.